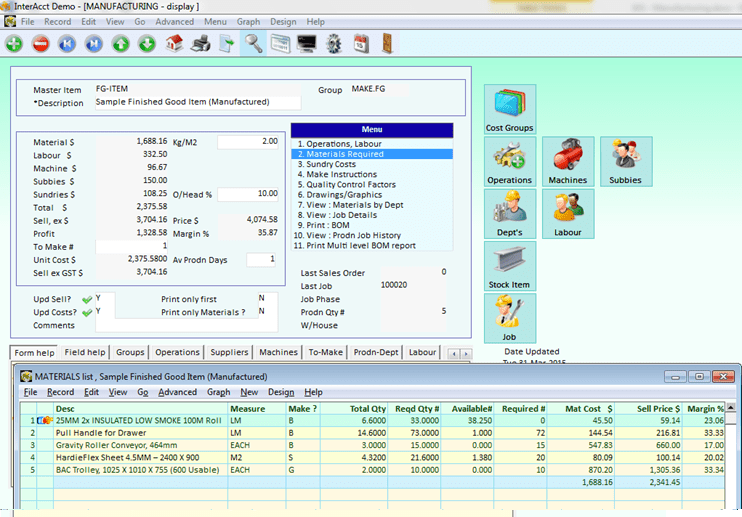 Labour and Machine Capacity Planning. 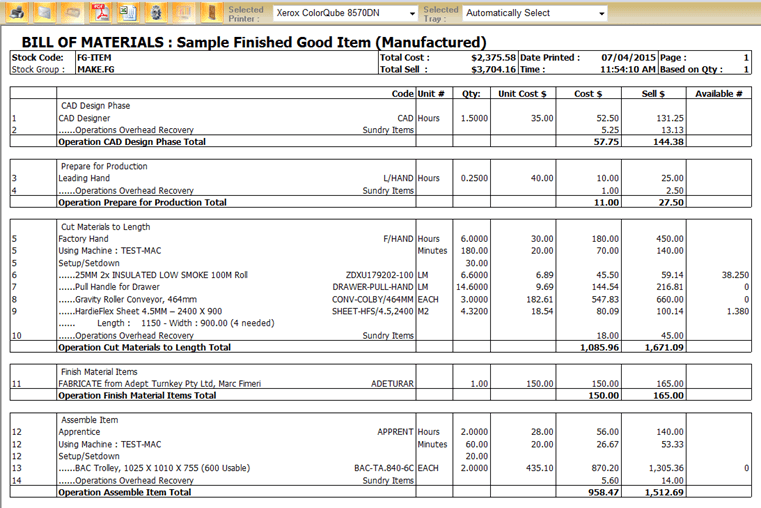 Safety and Quality Control considerations. 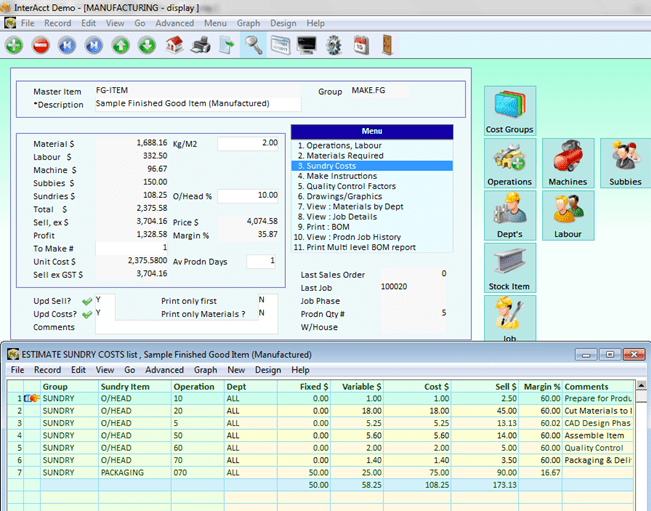 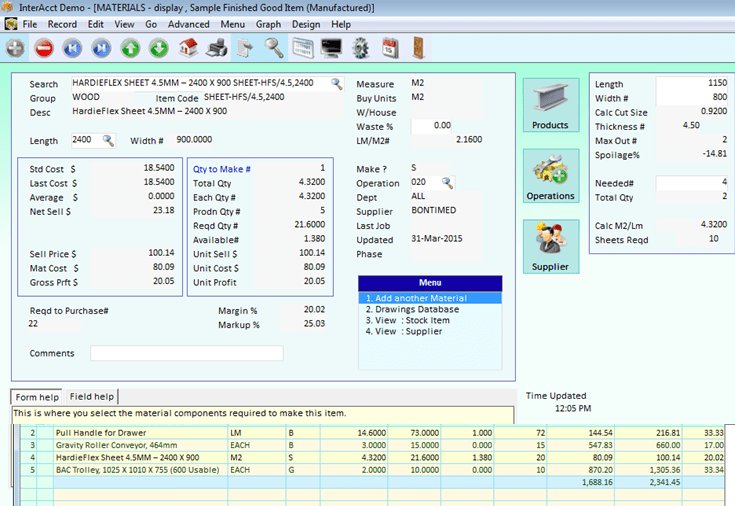 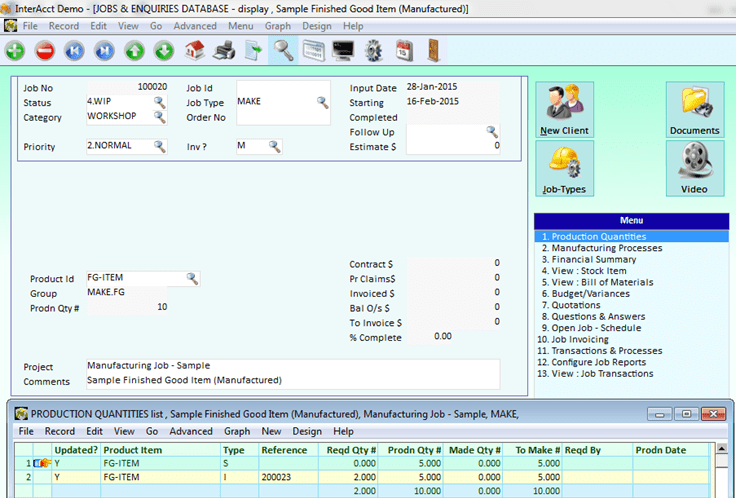 Factory Software for Scheduling and automated costings. 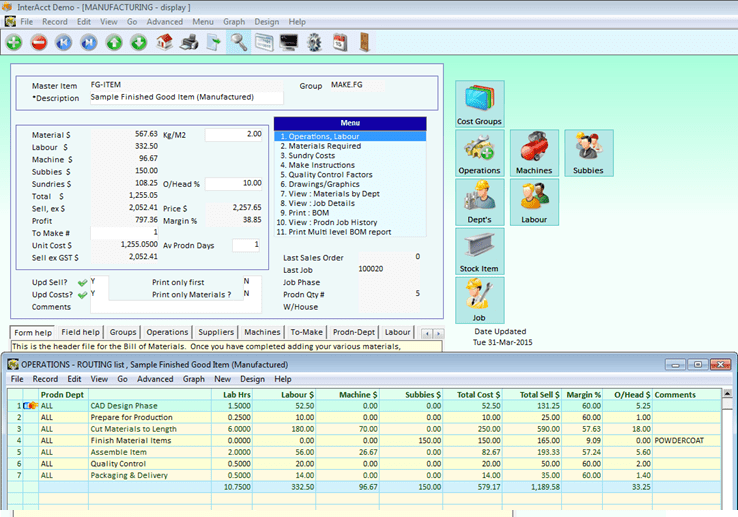 InterAcct MRP Software/Production Management software enables you to Setup, Copy and Produce multi level Bills of Materials(B.O.M). 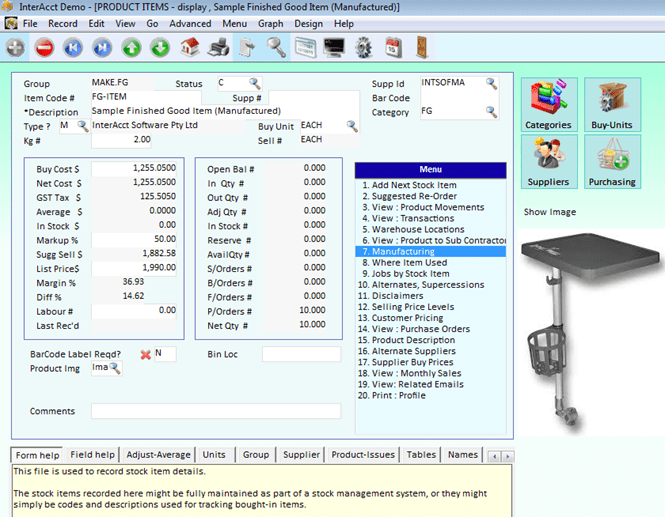 This links into a complete software application that tracks Accounting, Sales and Marketing, Inventory Control, Reorder Points and so much more. 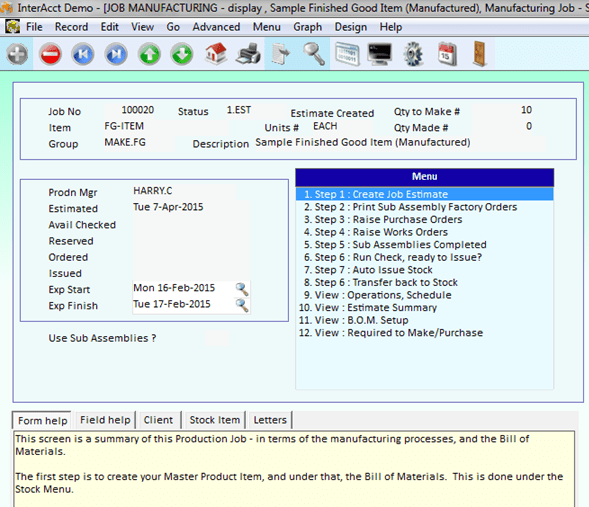 There are multiple options with Manufacturing. 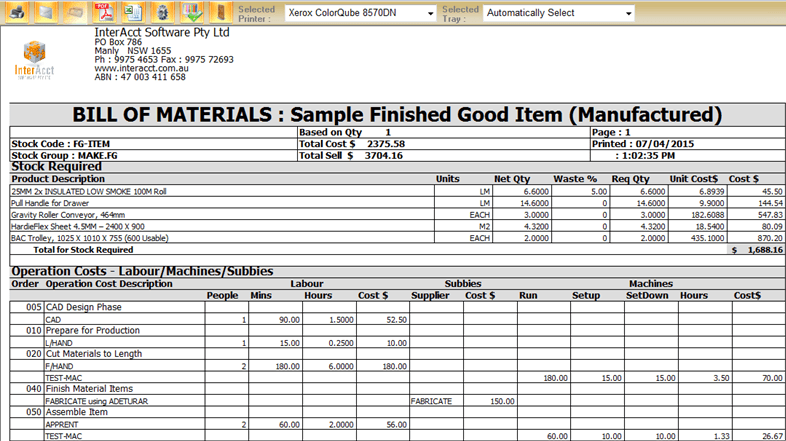 To view these please see the video presentations or Contact our sales team to discuss your requirements.